Swedish bicycle accessory brand Bookman has created a cup holder that snaps onto handlebars so city bikers can cycle with their takeaway coffees. 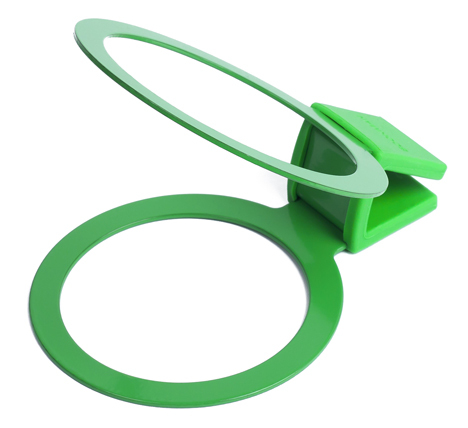 The Bookman cup holder is constructed out of two rings and a steel spring, completely free of screws and glue. “The Cup Holder sits firmly in place never losing grip even during rides over bumps and potholes,” said Bookman. The rings are different sizes so cyclists can flip the cup holder over depending on whether they ordered a small or large drink. 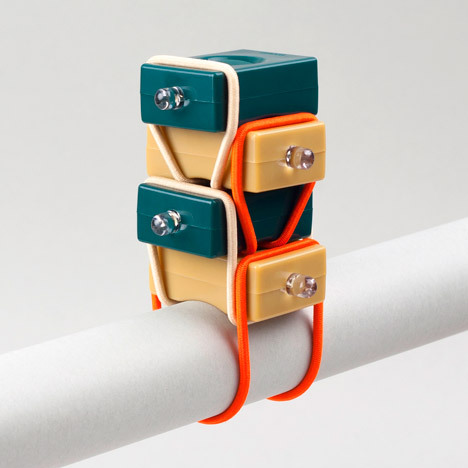 The cup holder comes with a little storage cube that fits inside the spring, holding the two rings together to keep it neat and tidy when not in use. It is available in black, white, red and green. 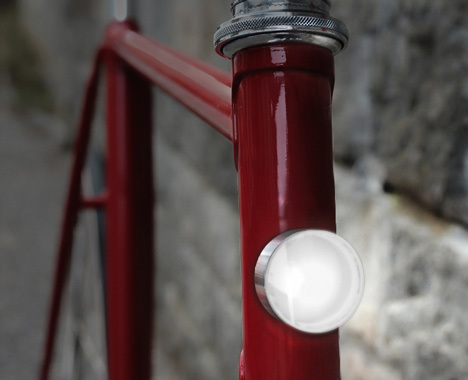 These magnetic bicycle lights by Copenhagen Parts turn on as soon as they come into contact with the steel frame. The magnets mean it’s easier to take the lights with you when leaving the bike chained up and also enable them to be positioned anywhere on the frame. 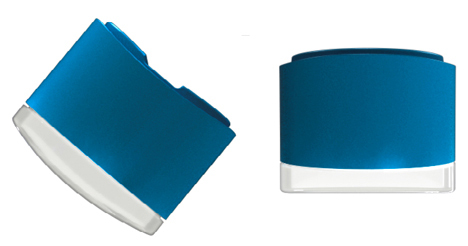 They contain battery-powered LEDs and come in machined aluminium or coloured silicone finishes. “Scandinavian Winters are dark, cold and long so we get the importance of good bike lights. The trouble is that there are hardly any good looking bike lights. We wanted something that looked good, worked well and, most importantly, could be fitted and removed instantly. The answer was obvious – magnets. We had the idea some time ago and have spent the last 18 months getting them right. We now have them perfected and will soon be ready to launch this patented innovation” says Copenhagen Parts co-founder, Lars Thomsen. Mads Kjøller Damkjær, co-founder in the company, adds ‘magnets and steel tubes are an obvious match but we’ve spent a lot of time working on selecting the right components and perfecting the details so that they will fit to different tube diameters and stay there’. And the cleverness doesn’t end there. 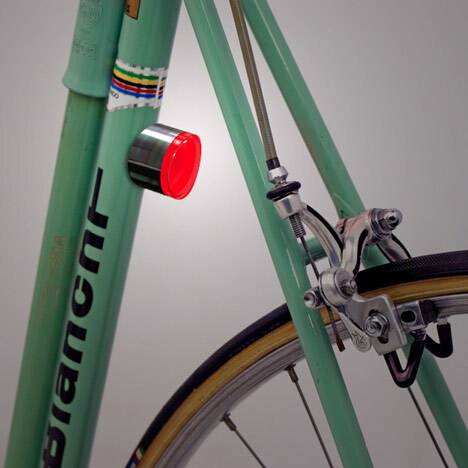 The lights turn on when placed on the bike and automatically switch off when removed. ‘We have been riding with the prototypes for 6 months. 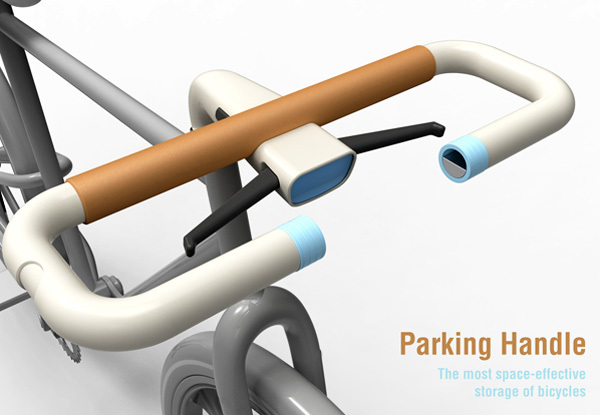 They are so easy to fit anywhere on the frame and they stay put – regardless of the road surface. 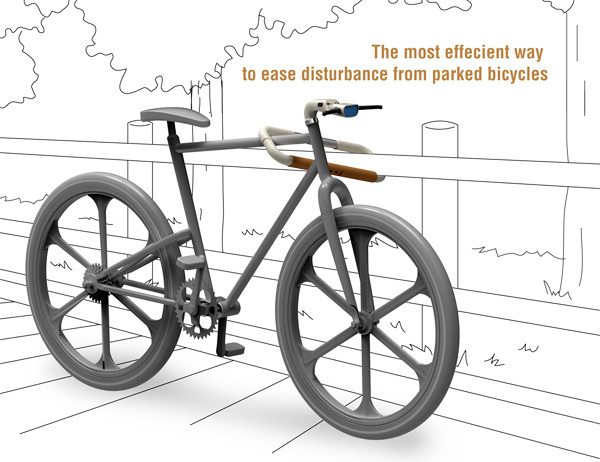 And they just pull off to keep them out of the grasp of thieves’ says Anthony Forsyth, bike-geek and one of the designers for Copenhagen Parts. They only work with steel frames but with the vast majority of people still riding steel-framed bikes there’s an ample market. For steel frames, they work outstandingly. For other materials, you’ll have to look elsewhere. 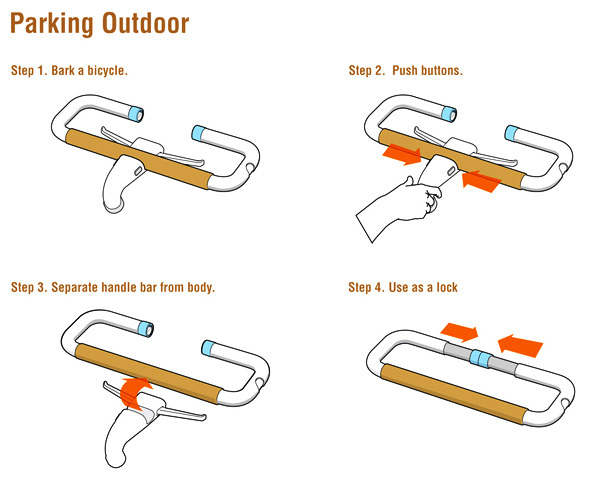 You could try Bookman who also produced bicycle lights that are attached by simply stretching the elastic cord around the handlebars or seat post. 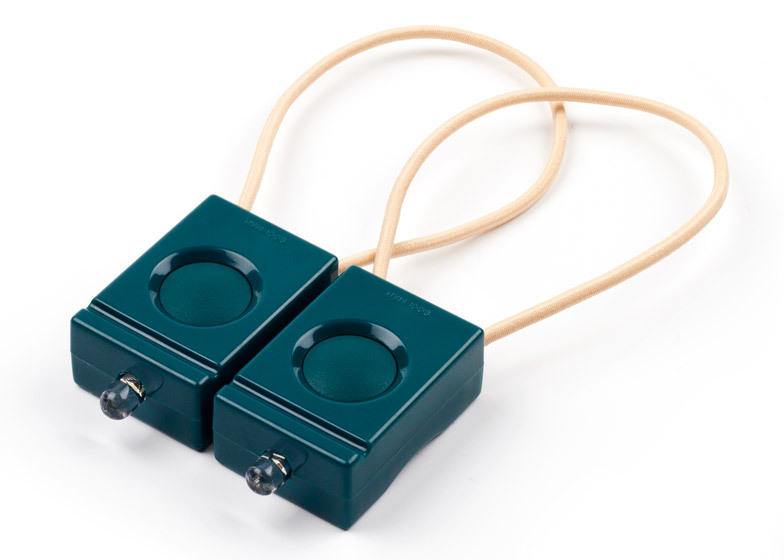 Easily mounted and detached with elastic loops, the lights are turned on and off using buttons large enough to be operated in gloves. Each pack includes a white front light that attaches to the handlebars and a red light that hooks around the saddle post to shine backward. The battery-powered, water-resistant lights can be set to flash slowly, quickly, or provide a steady glow. 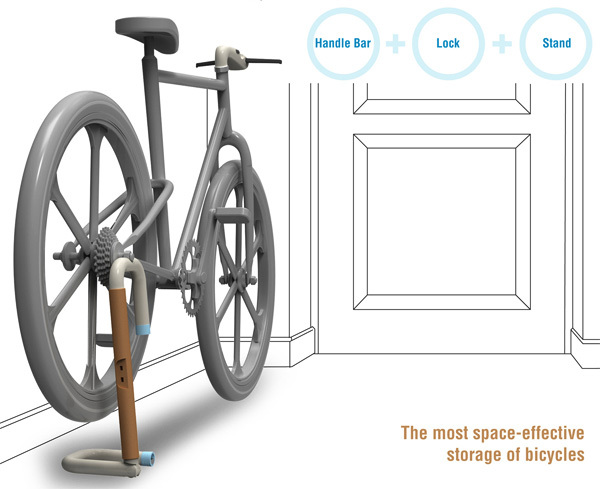 Let’s not forget bike locking … the simply named Bike Lock designed by Sang Min Yu is still in prototype stages. 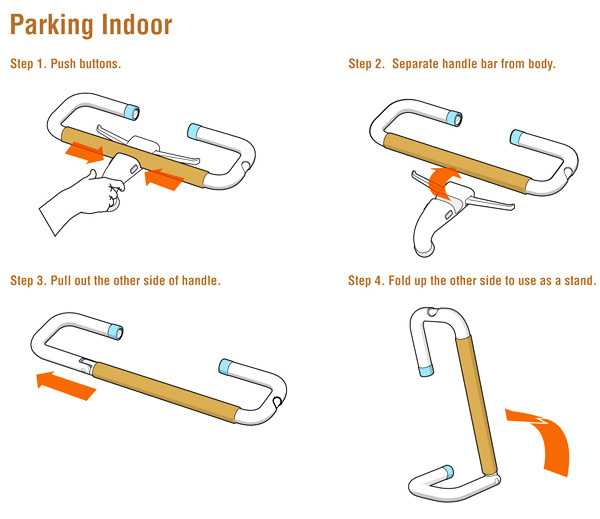 The handle itself can be detached from the main frame and used as modified bike lock AND it can also function as a bike stand when you park it indoors. 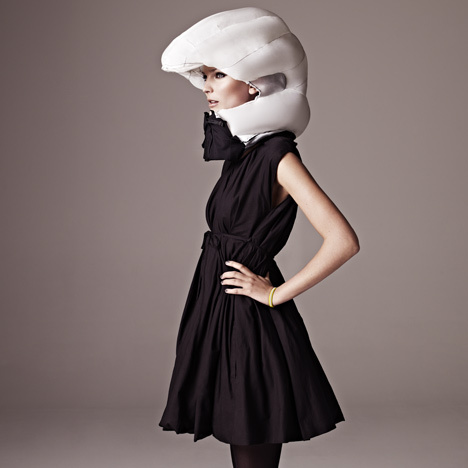 Last but not least … this inflatable bicycle helmet by Anna Haupt and Terese Alstin folds away into a collar or scarf and inflates instantly when it detects abnormal movements. “We wanted to make a head protection for bicyclists based on the demands that was presented through our surveys. Among other things the protection should keep the sense of freedom that goes with bicycling” says Terese Alstin. 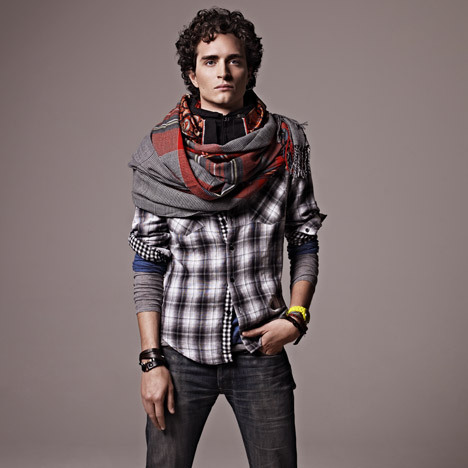 The collar contains a folded up airbag that you’ll only see if you happen to have an accident. The airbag is shaped like a hood, surrounding and protecting the bicyclist’s head. The trigger mechanism is controlled by sensors which pick up the abnormal movements of a bicyclist in an accident. “The actual collar is the visible part of the invention. It’s covered by a removable shell that you can change to match your outfit, and we’ll be launching new designs all the time. Hövding is a practical accessory that’s easy to carry around, it’s got a great looking yet subtle design, and will save your life” Anna Hupt.